Just like many other parts, these are more-or-less specific to either the standard or the special. There is some interchange, but fit can be poor with the wrong seat so depending on how important that is to you, be aware of the differences. There are different seat patterns and some variation in the foam design between models, I'll deal here with just the 'main' differences i.e. 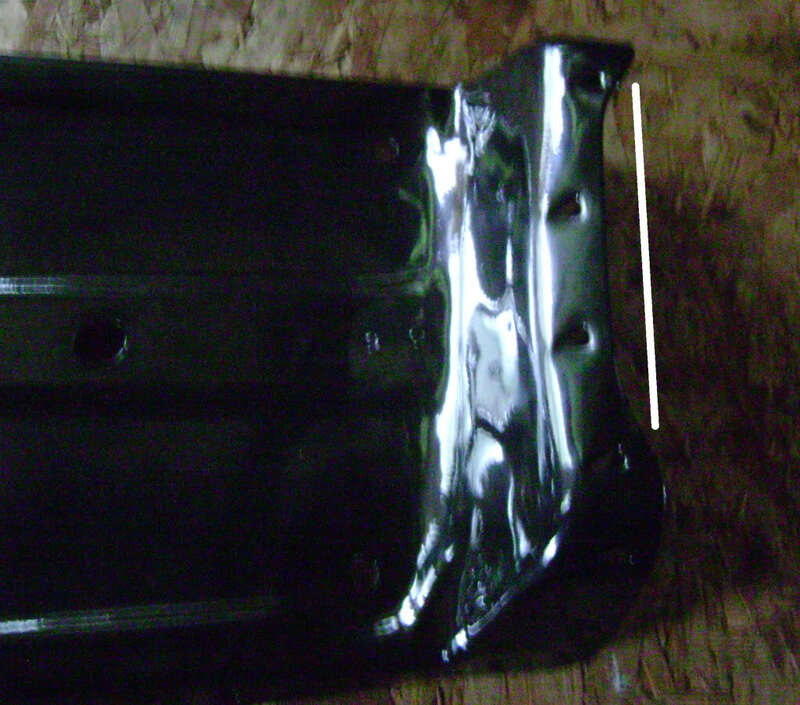 the seat pans as the foam/covers can be swapped. 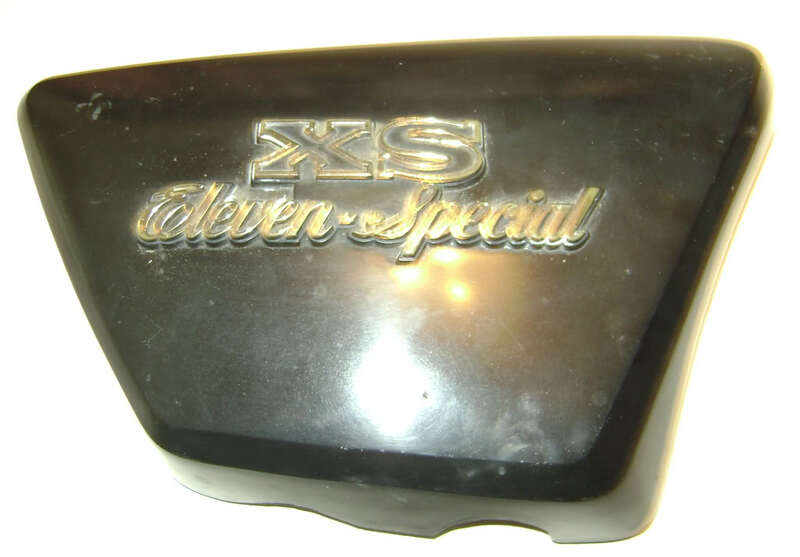 There's four different XS seat pans; '78-79 standard, '79 Special, '80-81 standard, and '80-81 Special. 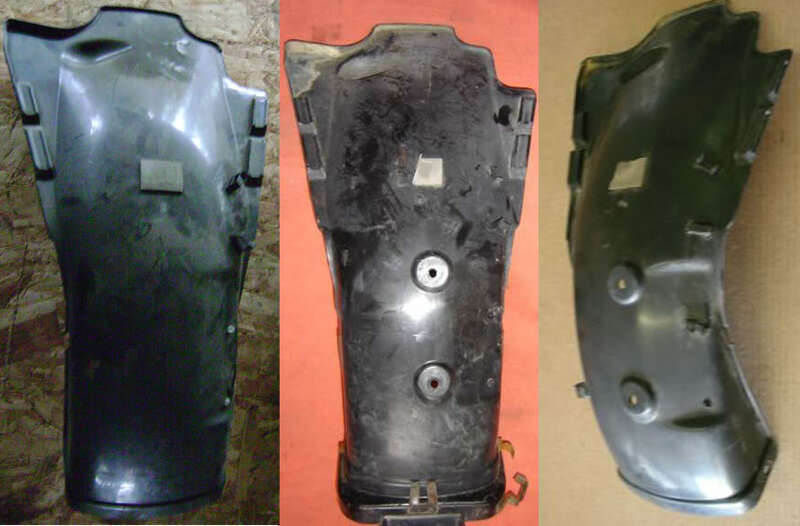 The XJ seat is totally different from any XS seat and won't interchange with any other model. 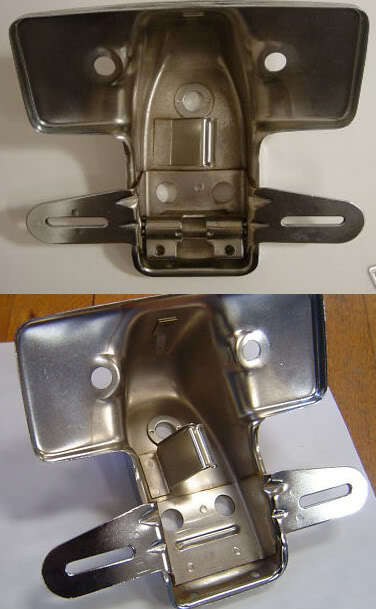 One major difference is it has a plastic pan as OEM, all the XS pans are metal. This the '78-79 standard seat. Identical except for trim color, these will exchange no problem. 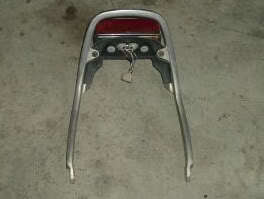 These have a chrome rail attached (missing on the '79 seat shown) and include a 'grab strap' across the seat. 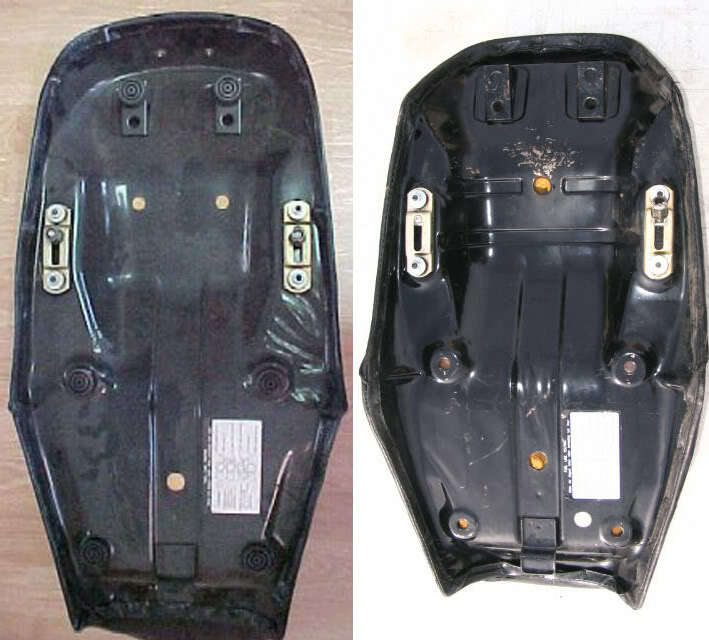 The TCI (mounted on the rear fender) is covered by the 'tail cone' on these models, so these won't fit any other models with the TCI directly under the seat. This is the rare 'accessory' touring seat available from Yamaha for the '78-79 standards. Similar to the later standard seats, but longer to cover the TCI, with a straight lower edge and a chrome trim strip around the lower edge. 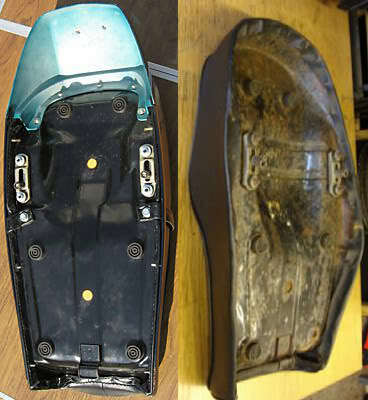 Based on the 'regular' production pan, with a welded-on extension in place of the plastic tailpiece. 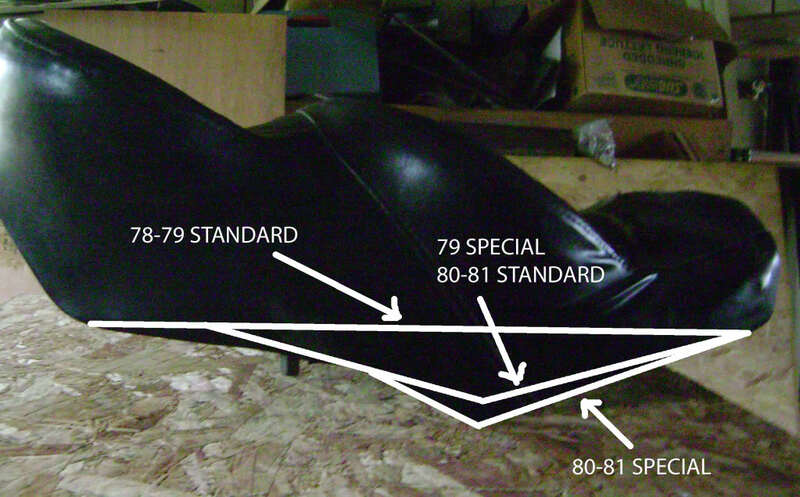 Here's a direct comparison between a '78-79 standard seat (left) and the '80-81. 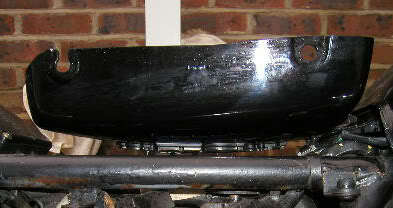 Note the 'scoop' in the later pan between the mounting brackets for the TCI. 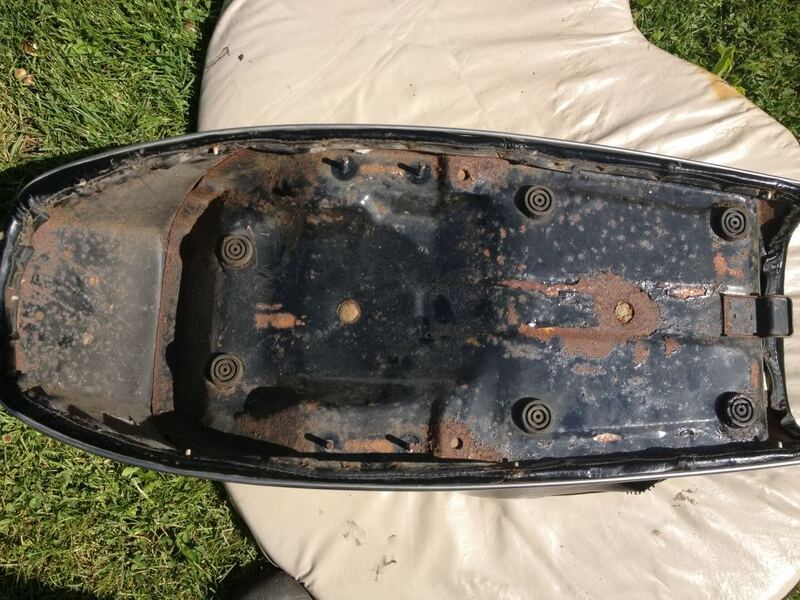 The tail cone is gone, the seat pan extends back further and 'wraps'. This is a '78-79 standard cover. Easily identifiable by the 'tab' on it's upper edge. These have slots in the top edge for attaching to the frame and will only fit the '78-79 standard frames. This isn't to scale, but this illustrates another difference in the seats. The lines represent the lower edge of the seats. 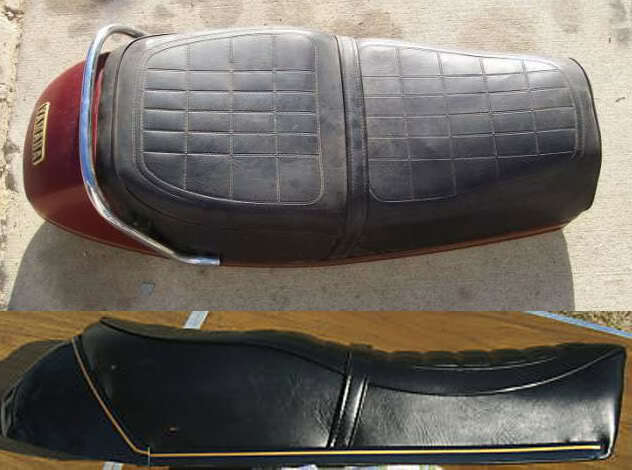 As they increased the taper in the sidecovers, they lowered the seat edge to match (to maintain a even gap between them), so trying to use a newer-than-the-sidecovers seat will cause the seat to hit. Go the other way, and you get a large gap. Only one difference to note here; there's two versions of the mount, a 'US' model and the 'Euro' model. 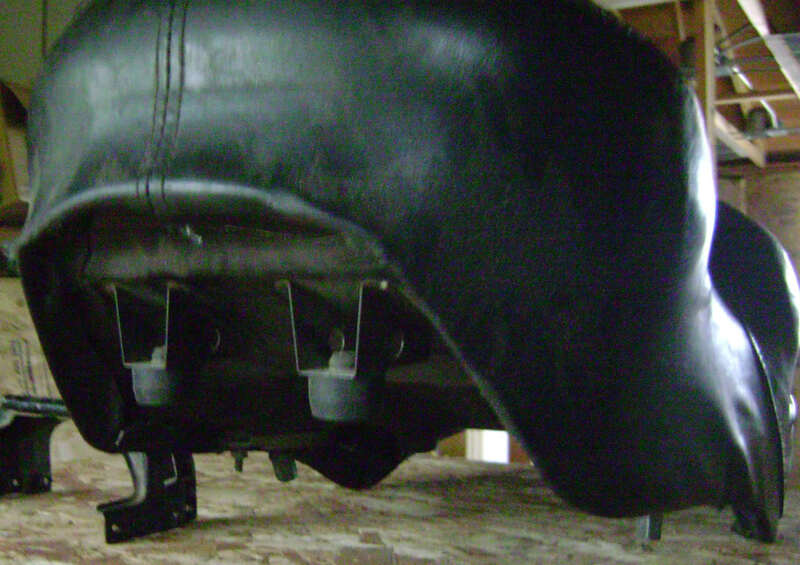 Some of the latter were fitted on US bikes, as seen in the top mount; note the 'clamps' below the plate brackets. If you had the right parts, you could hang the rear turns off these. Unfortunately, the needed parts were only used on non-US models, so they'll be tough to find in the US. 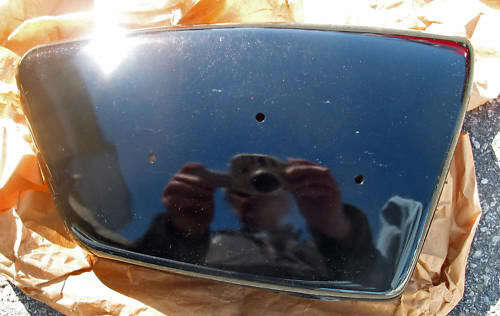 '79 Special taillight, on the fender. A one-year-only item on the XS. 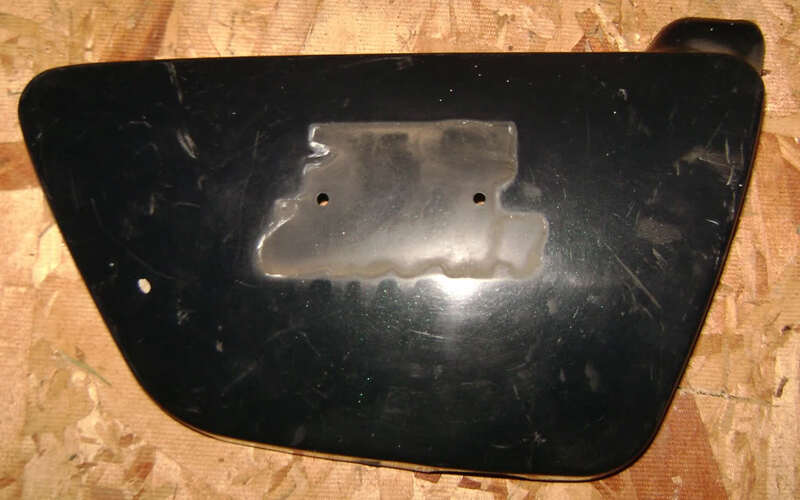 This is also used on the '78 & '79 XS650 Special, the '79-'80 XS650 Special II, and the '78 & '79 Xs750 Special. The SR500 uses the same light as well. 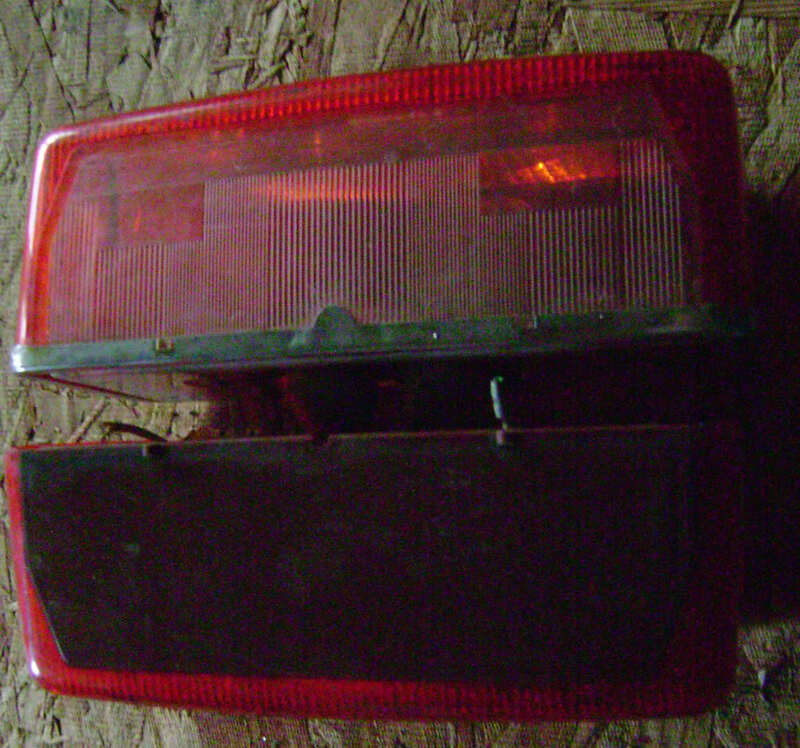 The main taillight backplate and lens. All the same for all models except the above noted '79, and a slightly different lens on the '80-81 Specials as shown. Same size/shape as the standards except the clear area to light the license plate is colored red on the specials. Left to right: '78-79 standard, '80-81 standard, and '79-81 special. The latter two have mounts for the TCI. Not obvious in the pic, but there is supposedly a difference in these two as there have been reports of the seat hitting the TCI if the fender doesn't match the seat. ... with the special unit on top. It has that bend, the standard unit is straight. These will interchange but you may have interference with the Special bar against the standard seat. Lastly, the '80-81 special bar. 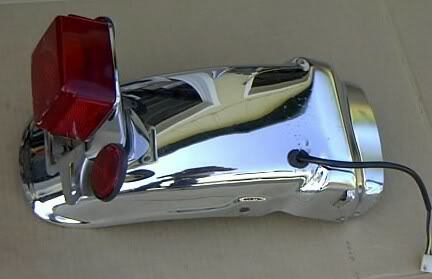 Cast aluminum, with the taillight mount integrated into the bar. These will only fit the '80-81 Special frame. The MNS bars are the same piece, just gold. 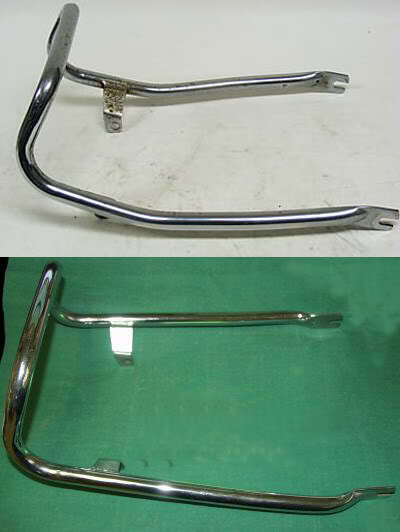 The '81 standard didn't use a grab bar, it had a luggage rack instead. The '80 grab bar will fit in it's place if desired. Last edited by crazy steve; 06-20-2012 at 02:28 PM.